Nene Hair for V4 / A4. Hairstyles designed for Victoria 4. 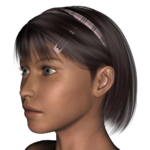 Prefitter_CR2 allows these hairdos to be worn by Adwoman, Bella, Dawn, Miki 4, Pauline, or Roxie in Poser 11 Pro. Note: There may be more hairstyles for Victoria 4 listed on the main Hair pages. 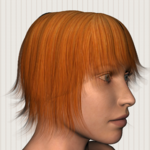 Free hairdos with pages on this wiki and add-on refits to V4 are listed above. 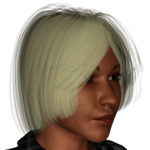 Paid hairdos with pages on this wiki and add-on refits to V4 are listed below. Eventually, this section will go away. A4 refits for Amarseda Hair, Devanar Hair, Estio Curls, Frizzed Head, Kione Hair, Portia Hair, Rievel Hair, Sylphiad Hair, Xylia Double French Braids, and Ysaris Hair. G4 fits for HorseTail Hair Model & Textures (free), Blaine Hair, Devanar Hair, Estio Curls, Frizzed Head, Glyn Hair, Ivandri Hair, Jai Hair, Kione Hair, Kleo Dread Falls, Marisandra Hair, Osean Hair, Portia Hair, Qain Hair, Rievel Hair, Uzuri Hair, Vayne Braid, Wynter Hair, Xylia Double French Braids, and Ysaris Hair. This page was last edited on 15 October 2018, at 23:40.